We’ve all seen a cluttered mess of cables that seem impossible to untangle. The dreaded rat’s nest does more damage than affecting the aesthetics of your data center, it actually decreases efficiency because of the decreased air flow from the tangled cables. Rather than wasting time reorganizing cables that could be harming your technology, you should take these tips into consideration to apply a proactive approach towards cable management. By taking one extra step, you could save yourself hours of time in the long run. Adding labels to your cables will make it easier to identify each cable, unplug specific wires, and install a new device. Organization here is key not only for current aesthetics, but also for future expansion and scalability. Rather than using the closest cable to you, measure the distance between servers and use a cable that matches the exact length. Not only will this increase organization, but it will also prevent future tangling issues. Excess cable increases the opportunity for snagging or tripping as well. Before jumping into setting up your network, create a plan that accounts for possible expansion. Planning ahead of time can reduce the crisscross wires that may occur when new equipment is added. Be strategic in the placement of your servers. From the beginning, think big when it comes to conduit. Install larger conduit than necessary because it will allow you to easily add new wires in the future without having to install new conduit. If you only cover the current wiring, you will be forced to spend more money (new installation) or take shortcuts (cable running outside) in the future. 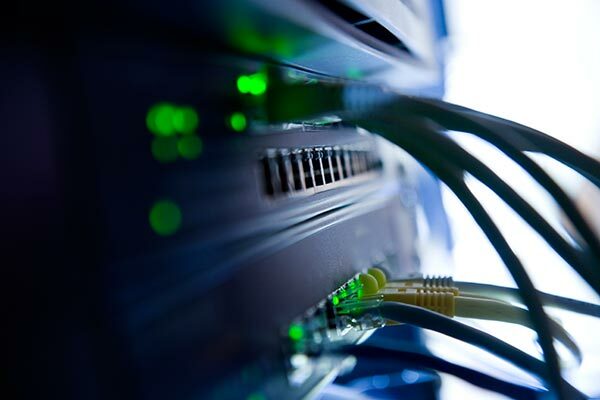 Every IT professional understands the risks of cable clutter beyond a sloppy data center. In addition to these risks, it is also important to have a clean, well-organized facility for showcase purposes. You don’t want to be showing off a messy room to stakeholders or potential customers. With these tips in mind, you should be able employ cable management techniques to maximize your business’ resources and efficiency. If you find yourself or your company in a cabling dilemma, we’ve got you covered. Contact us today to schedule a complimentary cabling assessment or a free site survey to address any issues in your network.